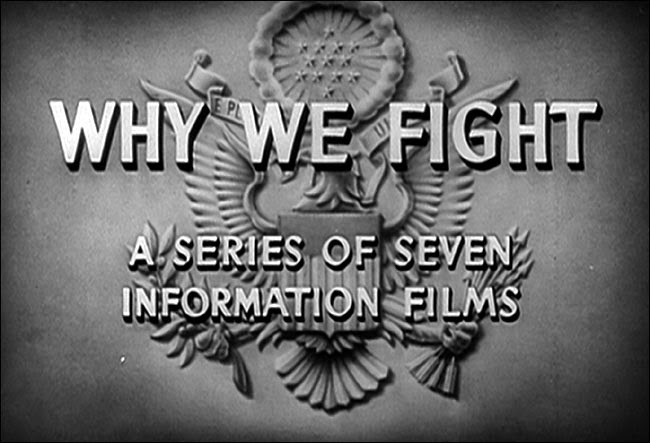 WHY WE FIGHT launches a bipartisan inquiry into the workings of the military industrial complex and the rise of the American Empire. Inspired by Dwight Eisenhower’s legendary farewell speech (in which he coined the phrase “military industrial complex”), filmmaker Jarecki (THE TRIALS OF HENRY KISSINGER) surveys the scorched landscape of a half-century’s military adventures, asking how — and telling why — a nation of, by, and for the people has become the savings-and-loan of a system whose survival depends on a state of constant war. The film moves beyond the headlines of various American military operations to the deeper questions of why — why does America fight? What are the forces — political, economic, ideological — that drive us to fight against an ever-changing enemy? This film details the ten steps a country takes when it slides toward Fascism. It takes a historical look at trends in once-functioning democracies that are being repeated in our country today. Published on May 12, 2012 The End of America details the ten steps a country takes when it slides toward fascism. It’s not a “lefty”tot tome, rather a historical look at trends in once-functioning democracies from modern history. Learn about historical examples of western governments covertly attacking their own civilians for political motives. Do the bombings of New York and London have any similarities to these events and why would leaders have a motive to terrorize their own civilians? TerrorStorm delivers a powerful sucker punch to the architects of global terrorism and how they stage false-flag events to achieve political and sociological ends. Alex journeys from the depths of history from the Gulf of Tonkin, the USS Liberty and Gladio through to the Madrid and 7/7 London bombings and robustly catalogues the real story behind the government induced fable. This film contains viable solutions on how we can reclaim human dignity and freedom and prevent the global population from becoming the slaves of a prison planet. 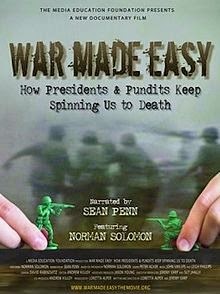 “A state of war only serves as an excuse for domestic tyranny.” http://drey.orgfree.com/Political – Visit the Ocular Stream’s political section, for dozens of hard-hitting documentaries and films, all packed with physical evidence and sworn testimony. America Freedom to Fascism exposes the fraud and deceit of the Federal Reserve Banks (Fed), the Internal Revenue Service (IRS) and the 16th Amendment, the income tax, the Federal Reserve System, national ID cards (REAL ID Act), human-implanted RFID tags (Spychips), Diebold electronic voting machines, New World Order (globalization), Big Brother, taser weapons abuse, and the use of terrorism by government as a means to diminish the citizens’ rights. The Federal Reserve System is a privately held, for profit corporation, and not a government agency. It was created by bankers for bankers as a lender of last resort, so that whenever a banker ran his businesses poorly he could be bailed out at the expense of the public. The Fed does not have any reserves, it simply creates fiat money out of nothing and lends it out at interest to businesses and the federal government. The American people are then forced to pay for the bailouts to government and businesses through inflation and personal income taxes on their labor. The currency the Fed creates out of thin air and loans out to the government at interest is called Federal Reserve Notes – look at the top of what you may think are your Dollars and you will see they are actually Federal Reserve Notes (FRNs). FRNs are backed by nothing. US Dollars are required by law to be backed by gold and silver, but US Dollars are no longer in circulation. The only real US Dollars still somewhat in circulation are US Silver Eagles and Gold Eagle coins, but they have become so valuable due to the Fed’s inflation and destruction of the FRN currency, that it takes thousands of FRNs just to buy a single US $50 gold coin, and dozens of FRNs to buy a single US $1 Dollar silver coin. The Federal Reserve System operates through manipulation of interest rates, which results in expanding and retracting bubbles of inflation, referred to as business cycles. When the Fed inflates the currency, it is effectively a hidden tax on existing currency, because the value of the newly created currency is stolen from the value of existing currency. This is reflected in continually rising prices, even though advances in technology and manufacturing processes should result in lower prices and a higher standard of living for everyone. Since the creation of the Fed in 1913, it has debased 99% of the value of the Dollar. In other words, it now takes $100 FRNs to buy what just $1 US Dollar would buy in 1913, as a result of inflation due to the Fed counterfeiting so much currency. If you had saved $100 in 1913, it would now only buy as much as a single 1913 Dollar would have bought at that time. The other $99 of value would have been stolen through counterfeiting (cheaply duplicating money out of nothing) over the years, resulting in the vale of the $100 being taxed through inflation, behind your back. Most Americans are kept ignorant of how the Federal Reserve operates through actions of corrupt politicians and an increasingly centralized media. Using terms like, ‘quantitative easing,’ ‘monetizing the debt,’ or ‘adjusting monetary policy for increased fluidity of credit,’ the Fed conceals it’s true actions behind veils of legitimacy. The U.S. Congress has the duty and responsibility of coining and maintaining the value of our dollar and money, yet Congress is being negligent in overseeing the Fed, as many politicians depend upon large campaign contributions from the Federal Reserve system bankers. In 2008, Democrat Barack Obama’s #1 campaign contributor was Goldman Sachs, among many other banks involved in the fraudulent Federal Reserve counterfeiting system. What is particularly important to note is that Republican John McCain’s top contributors were the same as Barack Obama’s. The Future of Food from picklock on Vimeo. This film draws questions to critical attention about food production that need more public debate. Monsanto, Roundup and Roundup-resistant seeds, collectively wreaking havoc on American farmers and our agricultural neighbors around the world. There is a revolution happening in the farm fields and on the dinner tables of America — a revolution that is transforming the very nature of the food we eat. The Future of Food offers an in-depth investigation into the disturbing truth behind the unlabeled, patented, genetically engineered foods that have quietly filled U.S. grocery store shelves for the past decade. From the prairies of Saskatchewan, Canada to the fields of Oaxaca, Mexico, this film gives a voice to farmers whose lives and livelihoods have been negatively impacted by this new technology. The health implications, government policies and push towards globalization are all part of the reason why many people are alarmed by the introduction of genetically altered crops into our food supply. Shot on location in the U.S., Canada and Mexico, The Future of Food examines the complex web of market and political forces that are changing what we eat as huge multinational corporations seek to control the world’s food system. The film also explores alternatives to large-scale industrial agriculture, placing organic and sustainable agriculture as real solutions to the farm crisis today. The Century of the Self is an award-winning British television documentary series by Adam Curtis. It focuses on how the work of Sigmund Freud, Anna Freud, and Edward Bernays influenced the way corporations and governments have analyzed,‭ dealt with, and controlled ‬people. “This series is about how those in power have used Freud’s theories to try and control the dangerous crowd in an age of mass democracy.” —Adam Curtis’ introduction to the first episode. Sigmund Freud, the founder of psychoanalysis, changed the perception of the human mind and its workings. His influence on the twentieth century is generally considered profound. The series describes the propaganda that Western governments and corporations have utilized stemming from Freud’s theories. Freud himself and his nephew Edward Bernays, who was the first to use psychological techniques in public relations, are discussed. Freud’s daughter Anna Freud, a pioneer of child psychology, is mentioned in the second part, as is one of the main opponents of Freud’s theories, Wilhelm Reich, in the third part. Along these general themes, The Century of the Self asks deeper questions about the roots and methods of modern consumerism, representative democracy, commodification and its implications. It also questions the modern way we see ourselves, the attitudes to fashion and superficiality. The business and political world uses psychological techniques to read, create and fulfill our desires, to make their products or speeches as pleasing as possible to us. Curtis raises the question of the intentions and roots of this fact. Where once the political process was about engaging people’s rational, conscious minds, as well as facilitating their needs as a society, the documentary shows how by employing the tactics of psychoanalysis, politicians appeal to irrational, primitive impulses that have little apparent bearing on issues outside of the narrow self-interest of a consumer population. Paul Mazur, a Wall Street banker working for Lehman Brothers in the 1930s, is cited as declaring “We must shift America from a needs- to a desires-culture. People must be trained to desire, to want new things, even before the old have been entirely consumed. […] Man’s desires must overshadow his needs”. In Episode 4 the main subjects are Philip Gould and Matthew Freud, the great grandson of Sigmund, a PR consultant. They were part of the efforts during the nineties to bring the Democrats in the US and New Labour in the United Kingdom back into power. Adam Curtis explores the psychological methods they have now massively introduced into politics. He also argues that the eventual outcome strongly resembles Edward Bernays vision for the “Democracity” during the 1939 New York World’s Fair. It is widely believed that the series was inspired and informed by a book written by the American historian, Stuart Ewen, “PR! A Social History of Spin”. THE CORPORATION is a Canadian documentary film written by Joel Bakan, and directed by Mark Achbar and Jennifer Abbott. The documentary examines the modern-day corporation, considering its legal status as a class of person and evaluating its behavior towards society and the world at large as a psychiatrist might evaluate an ordinary person. This is explored through specific examples. Bakan wrote the book, The Corporation: The Pathological Pursuit of Profit and Power, during the filming of the documentary. If you like this film, please share it with your friends and support the makers by purchasing a full quality DVD at either of the two links below: http://www.hellocoolworldstore.com/home.php?cat=281. http://www.amazon.com/The-Corporation-Milton-Friedman/dp/B0007DBJM8. NANA’S COMMENTARY "Why Do they Sag?"